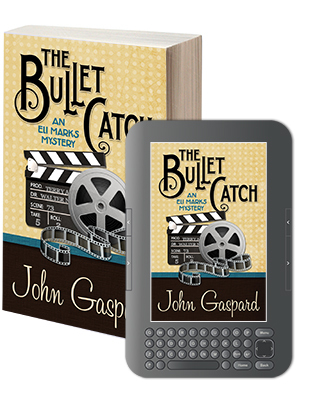 John Gaspard was here a year ago (be sure and read the interview) for his first book, THE AMBITIOUS CARD, so I am thrilled to let you know his second book, THE BULLET CATCH, is out today. 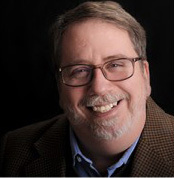 His blog, “Fast, Cheap Movie Thoughts” has been named “One of the 50 Best Blogs for Moviemakers” and “One of The 100 Best Blogs For Film and Theater Students.” He’s also written for TV and the stage. At the same time, Eli also comes to the aid of a classmate-turned-movie-star who fears that attempting The Bullet Catch in an upcoming movie may be his last performance. As the bodies begin to pile up, Eli comes to the realization that juggling these murderous situations — while saving his own neck — may be the greatest trick he’s ever performed. And for those of you who are curious, here is a magician doing the bullet catch. A female, mind you. This is the third review that praises this book, I really must find copy for myself.